In early 2016, I decided to take a blogging course. It was quite a bit of money, but I also know that investing in myself is something I need to do from time to time. The TL;DR version is: I got my money back from the author of the course and I recommend other things instead of a high priced course. 1. My page views went down. I recently took the GRE and scored at the 82nd percentile of writing, so my page views are not reflective of my writing ability. I think what happened was two things: I deleted tons of old content which would have been drawing a little traffic to my blog, and secondly, I felt very forced in what I had to write. A year later, and I'm still struggling to get page views back to where they were. 2. Becoming a Virtual Assistant or Multi-Level Marketer is NOT what I have in mind for blogging. I have done VA work, but honestly, I can make more money selling on eBay in the same amount of time than I can doing VA work. And I did sign up for a Multi-Level Marketing company (direct sales) after quite a bit of research into what I felt would do well, but I didn't make enough sales to stay in the company. I currently have my inventory at a flea market booth because I want to get what I can back out of my investment. 3. My affiliate sales went down. I am an affiliate for Amazon, Christian Book, eBay, and Etsy. This means that when someone comes to my blog and starts their shopping through one of my links, I earn some money at no additional cost to them. With page views dropping of course I'm going to see a loss of income in affiliate sales. 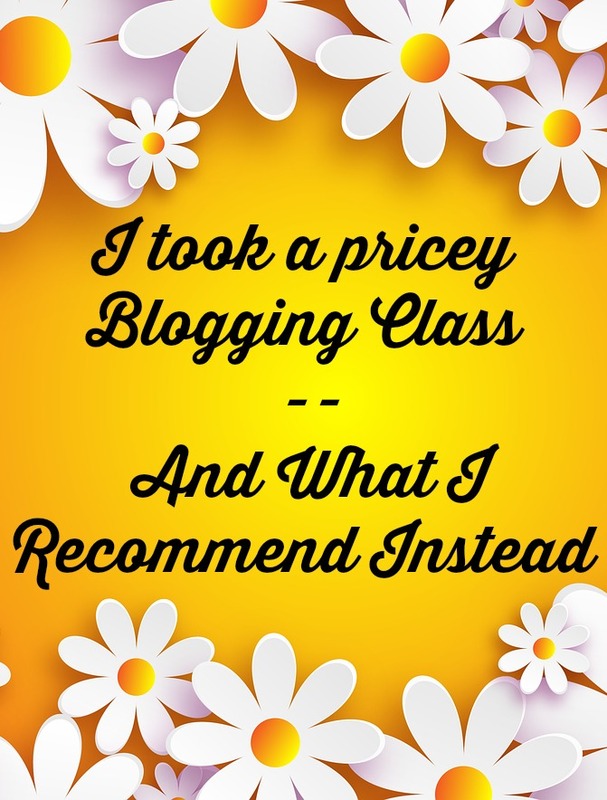 The only reason my Amazon sales were as high as they were was I took the Monetize 45 Course through Inspired Bloggers University and I had been using some of the strategies there to help monetize my blog. (I do recommend this class). Her Pinteresting: Pinterest Strategy for Brands and Bloggers is only $2.99 at Amazon. 4. I learned much of the information was available at a lesser price. Just as Inspired Bloggers Network can be accessed at a monthly rate, there is also tons of free blogging lessons out there. I know some say to listen to only one person, but who has it all together when it comes to blogging? You aren't the person you want to be like, while you might be able to make it big in the blogging world, there are plenty who don't. I love my subscription to Amazon Kindle Unlimited. There area so many blogging books available through it. There is a free 30 day trial to it and only $10 a month afterwards, and there are some excellent blogging books you can access through it. Just search blogging in the Kindle Unlimited section and you will see what I mean. Many blogging classes also teach you how to create a product or course, publish an eBook, get blog traffic, and more. If you do want to learn how to run a successful direct sales business, Kindle Unlimited has that as well as books / booklets about how to become a VA. Plus, if you see other things that interest you, such as how to sell shirts on Amazon Merch (which I have been making more doing this than blogging), you are free to explore those areas as well with a KU subscription. 5. I got burned out on blogging doing it someone else's way. I'm not sure where I want to go from here with my blog. I'll still blog, but with the consideration of graduate school in the fall, I don't expect to get back to blogging 3 or more times a week, at least for some time. Taking the first blogging class I did really burned me out on blogging. 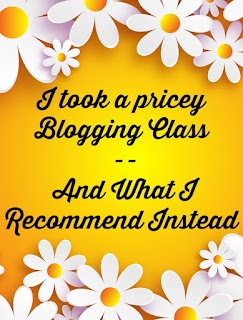 (Again, I recommend Tabitha Philen's Inspired Bloggers University). The interest I have had in blogging has waned over time. I'm sure my long term readers have noticed that. I'm trying to get my interest back in blogging because I used to enjoy it, and it was a great creative outlet for me, even if I was just showing off what I bought with coupons that week. Just as blog is short for weB LOG, it was fun to have a record of my major purchases and just day to day life. I deleted most of that, and I now regret it. Every person is different and just as a one size fits all shirt won't fit everyone, I think the same is true of online courses. I know some will say I didn't do everything I should have to make the blogging course work, but I gave it my best. I really wanted it to work. Going forward from here, I'm going to post what I like to write about on my blog, implement some of the things I learned from Inspired Bloggers University, and have fun with my blog. If it makes me money, that would be FANTASTIC, but if it doesn't, as long as I can earn what my expenses cost each year, I'll be happy if I'm doing what I enjoy.